ICAD and RESULTS Canada have come together to develop this web page dedicated to sharing Canadian engagement opportunities and information in lead up the High-Level Meeting on TB. Keep checking back regularly for updates and new content! 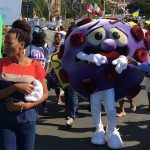 Why is the HLM on tuberculosis (TB) important for Canada’s HIV and TB civil society? How does TB affect people living in Canada? How can you get involved in Canadian and global advocacy efforts in lead up to the HLM on TB? 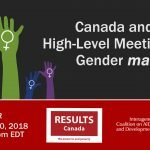 ICAD and RESULTS Canada invite you to join us for an online discussion to learn more. ICAD provides leadership in the response of Canadian international development organizations and Canadian HIV organizations in reducing the impact of the global HIV and AIDS epidemic. ICAD does this through improving public policy, providing information and analysis, and sharing lessons learned.